Save money, time and the environment. 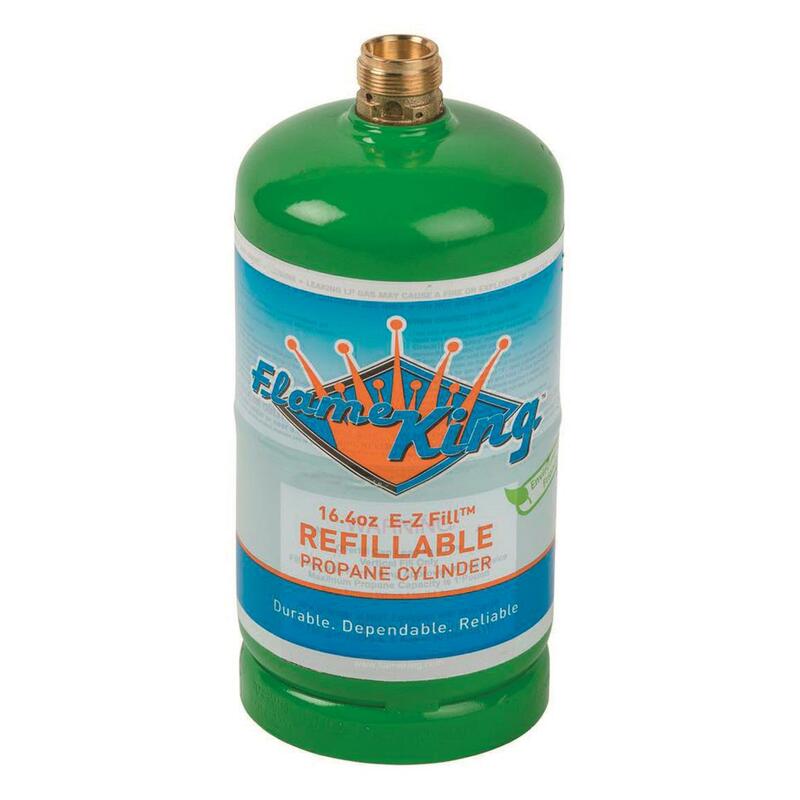 Go to refill, instead of landfill with the Flame King 1-lb. Refillable Propane Cylinder. Compatible with major brand of outdoor lanterns, heaters and cook stoves using 1-lb. 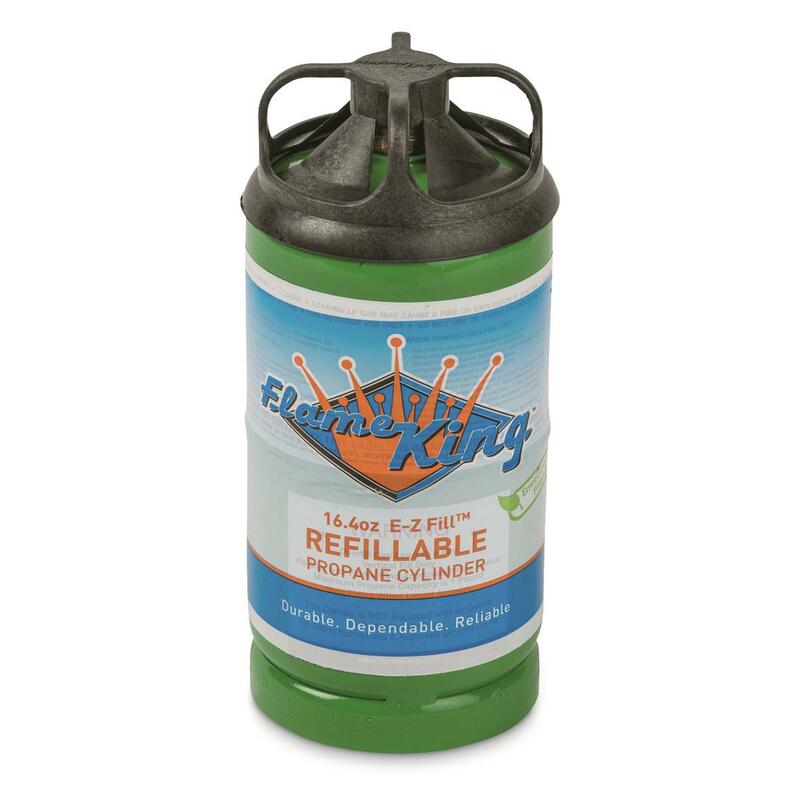 cylinders, Flame King cylinders are certified by the DOT as legally and lawfully refillable and transportable. The high-grade steel construction has a powder coated exterior for added life and protection and a UL listed valve. Saves you money on disposal fees and the time needed to go swap out empty or half-used containers, too. Dimensions: 8.5" x 3.75" dia. Flame King 1 lb. Refillable Propane Cylinder is rated 5.0 out of 5 by 2. Rated 5 out of 5 by john from good protect used while ice fishing. ran as long as the green store tanks.